All royalties from the sales of the anthologies in the A Little, Aloud series are donated in full to supporting The Reader‘s work running Shared Reading groups across the UK. 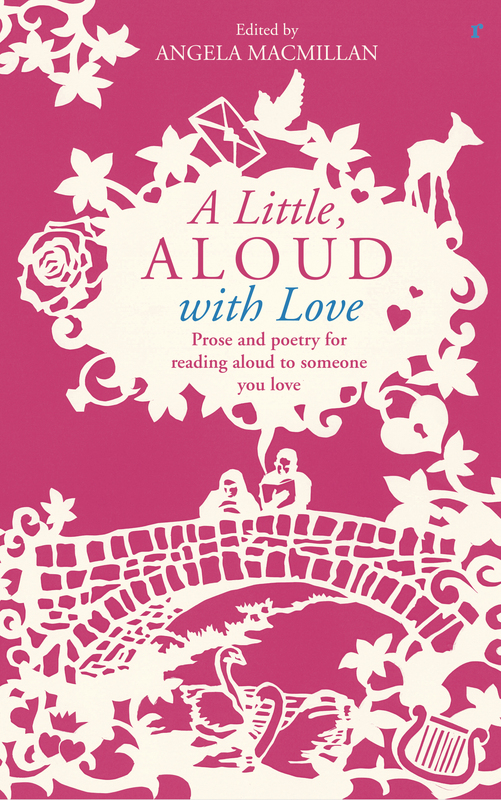 The latest addition to our A Little, Aloud series comes in the form of A Little, Aloud with Love, published in January 2016, featuring a selection of poems and stories designed to be read with someone you love – whether it be a boyfriend, girlfriend, husband, wife, partner, friend, mother, father, child… Many of the most popular works in the English language are characterised by love in all its forms, and what better way to celebrate affairs of the heart by sharing the choices within? The book offers meaningful reading for precious time and space together with a loved one, which can be intimate, revealing and binding. Inside, the selections span love across the ages – in time as well as generations. Discover the different perspectives on love offered by a twelve-year-old boy listening to a man trying to explain love in Carson McCullers’ story and the power of love between a very elderly couple as shown by Guy de Maupassant. Read Adam Bede – written more than 150 years ago – alongside more contemporary stories and poems from authors such as Wendy Cope, Margaret Atwood and David Constantine. All are related by the common thread of love. Shared Reading is at the heart of everything we do at The Reader, and the poems and books that are important to us as the tools of our trade are the ones that resonate on a deeply personal level. Whether reading Robert Burns in a care home, Far From The Madding Crowd with a group of young mothers or Haruki Murakami’s quirky tale of love at first sight at a drop-in centre, all of the choices in the book are accompanied by real and often raw reactions on the nature of love, only prompted by what is within the texts themselves. Loving is always complex, and we often struggle to understand what it is we are feeling, but in the literary language of a book or poem we might find the sudden release of personal meaning. After the success of A Little, Aloud, June 2012 sees the publication of our latest read-aloud anthology, specially selected for children. The Reader reads each week with children and young people, in groups and one-to-one sessions, with the focus being on the simple but incredibly effective act of reading for pleasure. Not only have these shared reading sessions opened up a world of imagination to hundreds of children, but they have also acted to increase personal confidence and stability as well as enriched enjoyment of literature in young readers. 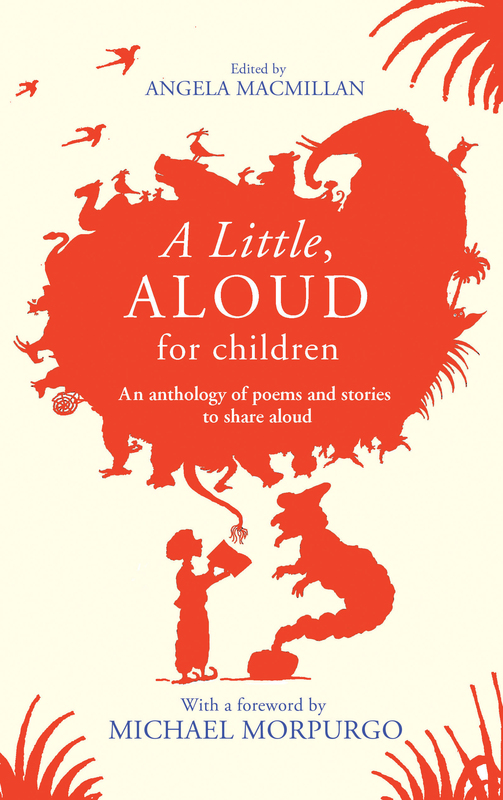 A Little, Aloud for Children is an inspirational collection of stories and poems specially selected to read aloud with children and young people. Including a rich and wide-ranging set of extracts from timeless classics such as Rudyard Kipling, Charles Dickens and Edith Nesbit, to stories from modern-day favourites including David Almond, Frank Cottrell Boyce and Neil Gaiman, and featuring a foreword from Michael Morpurgo, the book offers a truly magical melting-pot of prose and poetry that will delight every child. Each piece within A Little, Aloud for Children has been carefully chosen by staff at The Reader, who have unique experience in the effects and benefits of books that immediately capture the imagination and interest, and edited once more by Angela Macmillan. Every extract has been tried and tested; being read aloud and enjoyed by children of all ages and backgrounds. There is no recommended age for this collection, and no reason why a parent or grandparent, sister, brother, carer or friend should not enjoy reading the extracts aloud as much as the person they are reading to. Neither is there a reason why a child should not turn the tables once in a while and read to an adult. A Little, Aloud for Children allows exactly this to be done, encouraging children and adults to read aloud together, for pleasure, on what is hopefully the start of a life-long shared reading adventure. Our first read-aloud anthology, A Little, Aloud, was inspired by the wonderful outcomes of our Shared Reading sessions, which continue to show to this day that most of the pleasure that comes from reading is to be had from reading aloud with other people. 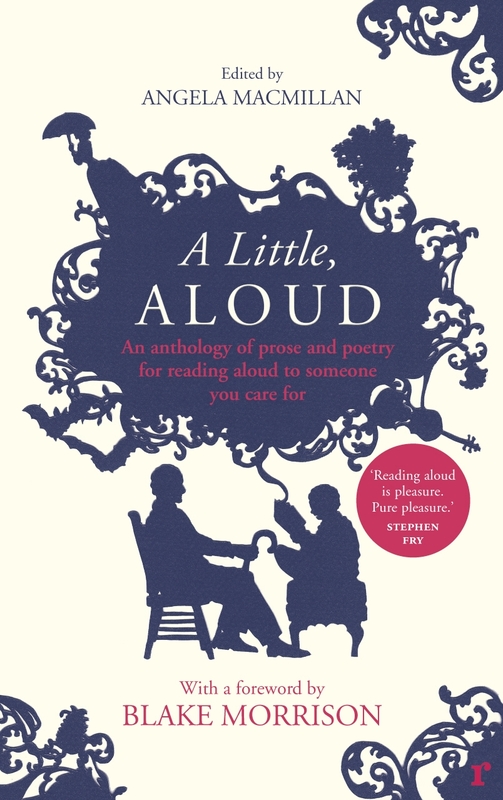 A Little, Aloud provides a selection of carefully chosen literature designed to be read aloud with someone you care for or those closest to you: a partner, child, sick or elderly relative. The power of shared reading is therapeutic, but most of all, enjoyable. Over the past three years I have read hundreds and hundreds of short stories in the search for the right weekly story for my read aloud reading groups with the elderly in residential homes and day centres. My bookshelves groan with the weight of second hand collections and anthologies and strange old books with titles like The Bedside Book; Round the Fireside; The Weekend Book and Thanks For Listening. Sometimes we read extracts from novels: Silas Marner, Robinson Crusoe, Andrea Levy’ s Small Island or The Road to Nabb End. Whatever the piece, it has to last no longer than 20 minutes or it becomes too much for powers of concentration that are not perhaps what they once were. The subject matter and length of the literature I choose for my groups must take these real difficulties into account without making concessions to excellence of content. We believe in the power of great writing to enrich minds. Each week the group members make the effort and it is an effort, to get themselves to our reading room and each week we read together, think together, laugh and sometimes feel sad together. It is simple, it’ s fun; it’ s social and it’ s intellectually stimulating. Why don’t all care homes have reading groups? Probably because finding the right material is difficult and time consuming. Supposing, I thought, I collect together some of the most successful stories and poems into an anthology so that carers, friends and relations can have a real resource for reading aloud, either to small groups or simply one-to-one. Meanwhile, at Chatto & Windus a new publishing manager had just taken up position. Two years previously she had read The Reading Cure: Blake Morrison’ s account for the Guardian of the work of Shared Reading and had stored it away in her mind as something interesting to be investigated at a later time. That time arrived as she sat on a London underground train reading through my book proposal. And Reader… the lady, she say YES. Accompanied by the boss and communications manager, I travelled to London at the end of January 2010 for a meeting at Random House. In the smooth, stylish foyer we signed the visitors book beneath a signature, large and elegant. Nigella. “We’d like to publish in September”, they said as we sat in front of a desk that had once belonged to Virginia Woolf at Hogarth Press. “ Fine”, we said, showing no fear. And so it began: the contracts, the collecting of material, the lists, documents and the writing not to mention the entry into the world of copyright. A strange, incomprehensible world of a million paths with no signposts; roundabouts with no exits and dead end streets. Chatto suggested we aim for a market beyond the care home on the basis that the literature is good for everyone so I added a subtitle: An anthology of poetry and prose for reading aloud to someone you care for.